Gingiva or gums surround the teeth and provide a seal around them. Healthy gingiva appears in coral pink color, but may contain melanin pigment. Gingiva is divided into free gingiva, attached gingiva and interdental papilla. Free gingiva is terminal edge of gingiva surrounding the teeth in collar like fashion. Attached gingiva is continuous with free gingiva and it is firm, resilient tightly bound to the underlying alveolar bone. Interdental papilla is in pyramidal shape and it occupies the interproximal space beneath the area of tooth contact. Gingival hyperplasia will occur due to increase in the connective tissue extracellular matrix. It is more prevalent in male children and adolescents. Drug induced gingival hyperplasia can cause functional difficulties, disfigurement and delayed permanent teeth eruption. cause drifting of teeth, retention of primary teeth, Diastema and poor plaque control. What are the complications of gingival overgrowth in children? How to Manage Gingival hyperplasia in children? Dentist consultation is necessary for the treatment of gingival overgrowth. Mild gingival hyperplasia can be treated by professional scaling. Effective plaque control can reduce and prevent the gingival enlargement. Drug induced gingival enlargement can be treated by changing the drug or decreasing the dose of drug. Severe gingival enlargement can be treated by gingivectomy. It is a surgical procedure in which excess gingival tissue is removed. Mouth breathing, hormonal alterations should be treated. 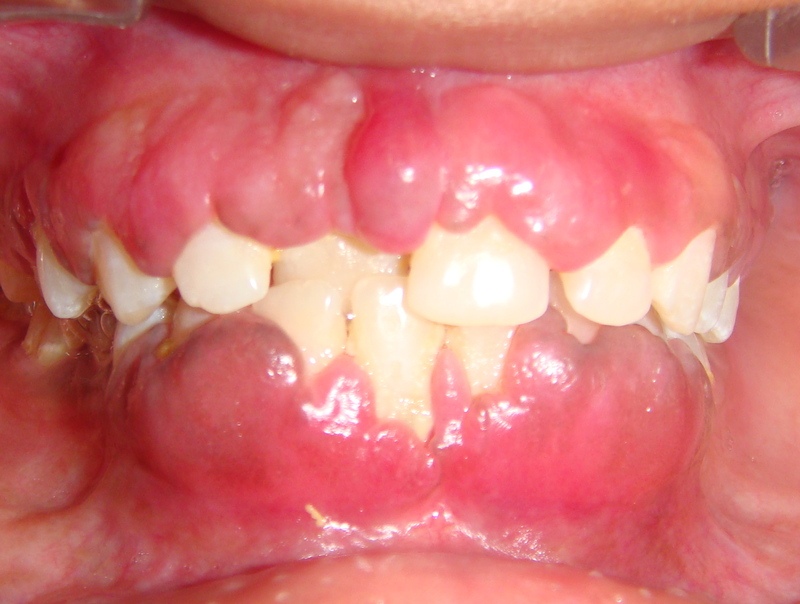 Gingival hyperplasia associated with syndrome needs both systemic and dental treatment. Daily twice brushing, regular flossing and regular dental visits provide good oral hygiene.